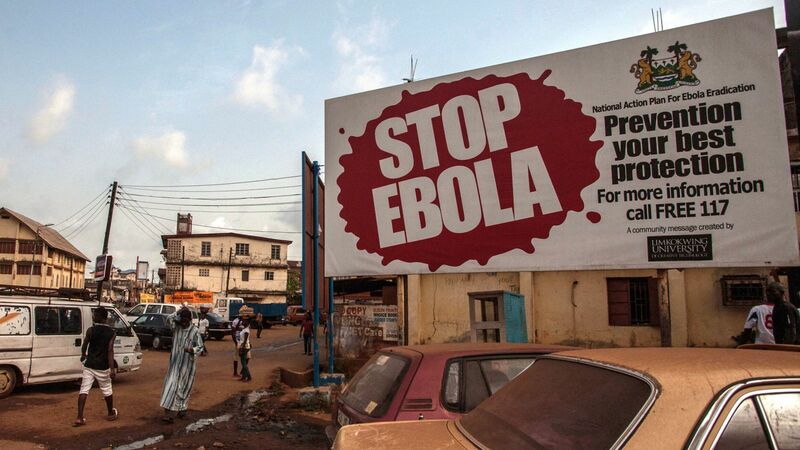 Ebola epidemic has been the point of discussion in many of my past blog posts. 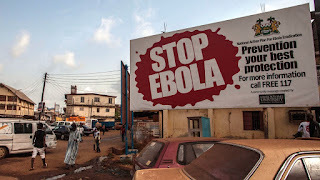 Considering that the previous lethargic early response was met with a devastating outbreak, the global health community is currently monitoring a possible resurgence of the Ebola virus in the Democratic Republic of Congo (DRC). As of on May 26, 2017, I gather from reports that there have been at least 43 cases of suspected Ebola. Of these only two cases have been positively confirmed in a laboratory. There are 4 probable and 16 suspected cases and a number of approximately 400 contacts. 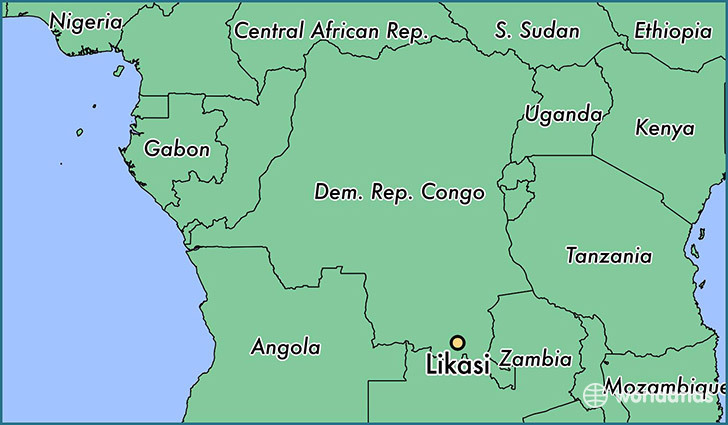 The reported cases currently remain confined to Likasi. Regions of hot interest are currently Nambwa, Muma, Ngayi, Azande, Ngabatala, Mobenge and Mabongo. This is the 7th documented outbreak of Ebola in the DRC since the discovery of the virus in 1976. 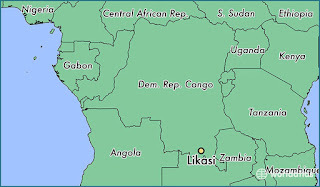 Fig 1: Likasi, Democratic Republic of Congo. The first case (Most probably the index case), was a 45-year-old hunter male seen on 22 April 2017 from Bas Uele Province in the north of the Democratic Republic of the Congo (DRC), bordering the Central African Republic. Currently, nothing much is known about the genetics of the strain and the outbreak appears to be very limited by geography. Based on an RT-PCR from one of the isolate, it appears that the virus is related to Zaire subtype. A very interesting perspective is that the Ebola this time has the possibility of involvement of Pig. Though such a link is not yet established, here is the argument. A smoking gun is that 84 pigs have recently died in the epicentre of the current outbreak. There is also some possible evidence that Ebola- Zaire strain can infect and manifest in pigs and can be transmitted between them. They can further transmit it to primates. A counter thought is that considering huge deaths of pigs, experts suggest that there should have been more human cases. As epidemiologist Fabian Leendertz comments, “I’m doubtful that the pigs actually carry Ebola, but we have to test them". The earlier clinical trial showed that of the 5837 people who received the vaccine, no Ebola cases were recorded 10 days or more after vaccination. In comparison, there were 23 cases 10 days or more after vaccination among those who did not receive the vaccine. That's a 100% coverage. However, questions were raised since the trial was conducted during the dying phase of the epidemic. It is also not know how long does the immune memory stays. 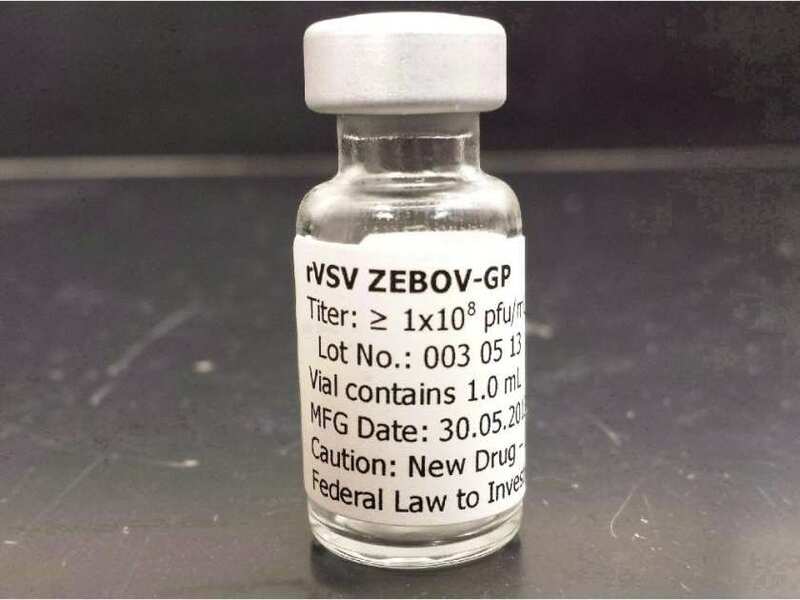 The vaccine is unlicensed and ethics committee at the DRC has approved a clinical study of rVSV-ZEBOV Ebola vaccine, in the hope that it would arrest the outbreak. Henao-Restrepo A, Camacho A, Longini I, Watson C, Edmunds W, Egger M et al. Efficacy and effectiveness of an rVSV-vectored vaccine in preventing Ebola virus disease: final results from the Guinea ring vaccination, open-label, cluster-randomised trial (Ebola Ça Suffit!). The Lancet. 2017;389(10068):505-518. Recall that I have recently written a post on human blood virome and one of the major findings was that there are a lot of viruses in human blood circulation that is apparently normal. A major critique of the study is that there are a lot of contamination issues to be ruled out. It is really not clear as to if the virus is actually in the blood, or has been introduced from the skin during the collection procedure. If you look at the past literature on WGS technology it is undisputedly clear that in most cases skin microbiome is introduced during blood collection even when sterile precautions are taken, at a non-negligible level. One virus that was particularly striking was Anellovirus, something not many people have heard about. That is the point of discussion here. Anellovirses are non-enveloped, icosahedral symmetry virus (T=1) with a genome containing a circular single-stranded DNA coding for 3 major open reading frames (ORFs). In addition, they carry several small ORFs and untranslated regions (See Fig 1). 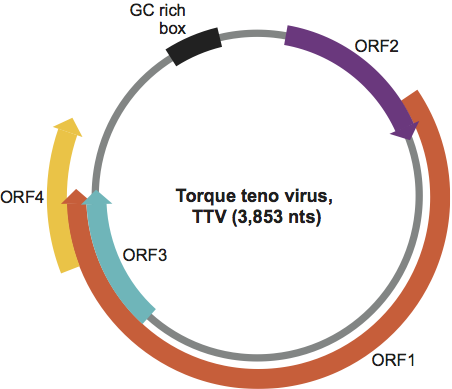 Torque teno virus (TTV), is the most studied member of the group which was first reported in 1997 in a Japanese patient post-transfusion. 2 more virus that is now commonly talked about includes Torque teno mini virus (TTMV) and Torque teno midi virus (TTMDV). Subsequently, there have been several different studies on Anellovirus in blood and blood derived products. In all of the studies, Anelloviruses have been found in varying percentages. 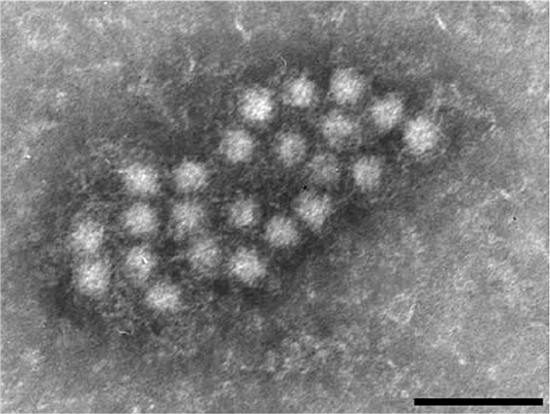 It is my understanding that Anelloviruses was previously described as under the family Circoviridae, genus Anellovirus. 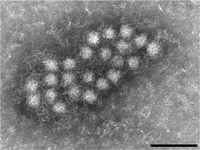 Currently, Anellovirus itself is the family and have several genera under them. See Table 1 for a compiled information on the classification details. Anellovirus infection though earlier thought to be more of blood-related have been identified as ubiquitous and estimates are that as much as 90% of global population harbours Anellovirus. This can be seen by detecting the sequences in at least one of the biological samples such as blood, skin, saliva, gut etc. Further, these are not human specific and Anelloviruses have been found in other species such as human primates and wide variety of domestic animals. Anelloviruses have been implicated as a correlation with conditions such as fever and associated with hepatitis virus infections. However, they appear to be more of a random phenomenon and no study has been published implicating them as a significant contributor and modulator of a clinical condition. For the time being at least, they appear to be floaters (Commensals) and nothing much of their biology is known. 1. McElvania TeKippe E, Wylie K, Deych E, Sodergren E, Weinstock G, Storch G. Increased Prevalence of Anellovirus in Pediatric Patients with Fever. PLoS ONE. 2012;7(11):e50937. 2. Al-Qahtani A, Alabsi E, AbuOdeh R, Thalib L, Nasrallah G. Prevalence of anelloviruses (TTV, TTMDV, and TTMV) in healthy blood donors and in patients infected with HBV or HCV in Qatar. Virology Journal. 2016;13(1). Tuberculosis continues to be a high burden problem in many parts of the world especially, its co-infection with HIV creates substantial complications. Though BCG is universally administered, BCG fails to protect after a certain number of years. Research is currently focussed on inventing a totally new vaccine or to create modifications in BCG allowing better vaccine performance. In India, a recombinant vaccine called VPM1002 is planned to be tested for phase II/III vaccine trial. Here are some details of this vaccine. BCG is derived from M bovis and has immunological properties which is much similar to M tuberculosis. 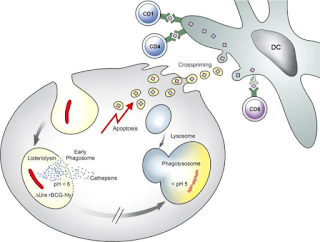 The bacteria is phagocytosed by host macrophages, and are efficiently trapped in cellular phagosome. However, the cell fails to digest the bacteria due to multiple virulence mechanism of the bacteria. One of them is a urease which plays a role in pH neutralization of phagosome thus denying its maturation. Subsequently, antigens are processed by MHC II pathway and induce CD4+ T-cell responses but what is actually required is a CD8+T cell response. In 2005 a JCI paper reported a rBCG (Recombinant BCG) prague strain that secretes listeriolysin of Listeria monocytogenes and is urease C-deficient. The idea being that the a urease deficient mycobacterium secreting listeriolysin allows better phagosome maturation and potentially activating MHC I pathway thus eliciting a desired CD8 response. 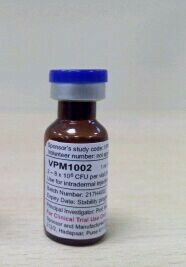 Vaccine developed from this strain is called as VPM1002. Prof. Kaufmann comments “The vaccine being tested is intended to replace the current BCG vaccine and will be administered to young children to protect them against tuberculosis. Adults may also be able to benefit from it later”. In a phase I Clinical trial conducted in Germany and and South Africa, volunteers were followed up for 6 months after a single vaccination with 5 x 10 5 CFU was safe, well tolerated and induced multifunctional CD4+ and CD8+ T-cells. Studies have also showed that rBCG is significantly better in terms of immunity and safety. The findings were subsequently confirmed by a phase 2a study in South Africa. The key importance of VPM1002 in contrast with BCG is superior immunity conferred by CD8+ T cells, enhanced Il-17 secretion. It also reduces the risk associated with BCG complications seen in a small subgroup of HIV positive subjects. Grode L. Increased vaccine efficacy against tuberculosis of recombinant Mycobacterium bovis bacille Calmette-Guerin mutants that secrete listeriolysin. Journal of Clinical Investigation. 2005;115(9):2472-2479. Grode L, Ganoza C, Brohm C, Weiner J, Eisele B, Kaufmann S. Safety and immunogenicity of the recombinant BCG vaccine VPM1002 in a phase 1 open-label randomized clinical trial. Vaccine. 2013;31(9):1340-1348. I note that I have been unable to post frequently in past few weeks, since I have been very busy with work and personal travel. I have been getting a few mails enquiring if I moved to a new page. No, I havent yet. If I do, I will definetly make an announcement. The methodology used for this is technically complex but the idea is straightforward. The cells are sorted out using a known classification system and then each cell is isolated from the pool. Then using a technique called single cell transcriptomics a cell is profiled. This gives a picture of what is the genetic expression pattern of that particular cell. By parallely doing so for a huge number of cell samples, a map can be drawn. Dendritic cells are called so because of their structure. They are one of the most important classic APC (Antigen presenting cell). Dendritic cells (DC) were first discovered by Ralph Steinman roughly 4 decades ago for which he was awarded the Nobel prize. Though there has been some previous hints that DCs are a diverse population, the subtypes have not been recognised or typable. In the study by Villani et al human PBMCs were enriched from blood sample using Ficoll extraction and DCs were isolated using flow cytometry. Each cell was then isolated into a single well and transcriptome analysis was done. 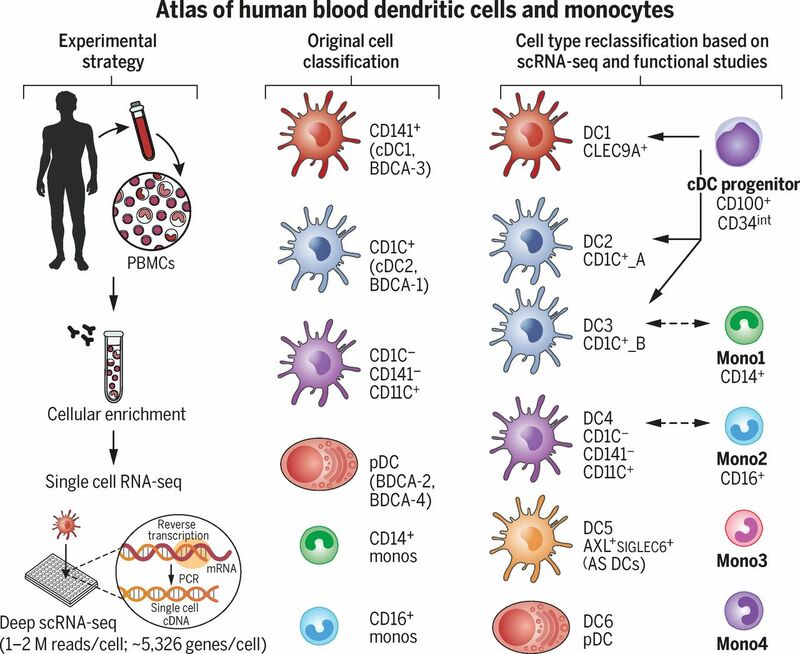 For the study, 742 DCs and 339 monocytes that passed quality control was profiled with an average detection of 5326 genes per cell. Based on genetic expression cluster results 6 clusters which are numbered DC1 to DC6 were identified (See Fig 1 for classification details). 2 clusters mapping closely to the well-established DC subsets, with cluster DC1 mapping to CD141+ DCs and cluster DC6 to pDCs. Further analysis was able to gathered some potential markers of interest. DC1 corresponds to CD141/BDCA-3+ ,which was best indentified using CLEC9A. DC5 was unique in itself. The paper is very dense with lot of data. However, essentially this paper established that there are DC subtypes defined and probably there is a diversity in function. This also sits well with literature where function of DCs is called into into three categories. First, antigen presentation and activation of T cells. Second, inducing and maintaining immune tolerance. Third, maintaintainence of immune memory. However, which does what is yet to be studied and elucidated. Divya Shah comments, “In this study, scientists have used cutting-edge technologies to find that there are many more types of cell than we originally thought. The next step is to find out what each of these cell types do in our immune system, both when we’re healthy and during disease." Villani A, Satija R, Reynolds G, Sarkizova S, Shekhar K, Fletcher J et al. Single-cell RNA-seq reveals new types of human blood dendritic cells, monocytes, and progenitors. Science. 2017; 356 (6335): eaah4573.